•Solar power is a renewable resource. This means that we are not in danger of depleting its reserves. Though it may disappear behind clouds momentarily and is unavailable at night, it generally returns in full force. •Solar power is non-polluting. Unlike oil, solar power usage does not emit any greenhouse gases, nor does the acquisition of it harm ecosystems through spills or dredging. This is probably one of the primary advantages of solar power. •The energy from the sun is free. Once solar panels are set up, there are no electrical expenses necessary to power them. •Solar cells require very little maintenance, greatly because there are no moving parts that must be maintained and can last a lifetime. 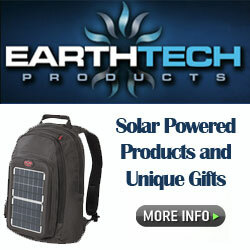 •Solar power is incredibly versatile. A variety of inventions may be powered by it, including cars, water heaters, fountains, buildings, and satellites. We will be looking into solar heating in the near future. •In remote locations, solar power may be a more realistic energy option than running large lengths of electrical wires to connect to a grid. Along with the advantages of solar power, it is worth remarking upon the disadvantages. These include sunlight not being a readily available resource in some areas of the world. Also, solar cells are still not particularly cheap. Of course, technology for this is improving, and it will continue to improve as the cost of other forms of power increase.